In the not so distant past, writers had very little resources to get their stories published and in the hands of John Q. Public. The only options were to find an agent or submit right to a publishing house via snail mail with a SASE (self-addressed stamped envelope) for your rejection or acceptance letter. In today’s world, a writer can bypass the “traditional” submission process altogether and self-publish their stories. At some point during the writing process, everyone thinks about how they want to publish their story. Once your story is the best it can be, and you’ve done all the revising, gotten critiques and beta readers to help you fine tune it until it shines is the time to get serious about publishing. Should you get an agent, should you go straight to a publisher, or should you self-publish? Each comes with pros and cons. You decide what works best for you and your story. Almost everyone who writes is self-publishing today. The fiction market has been flooded with bad writing, horrible covers, no formatting, and stories that should never have been put on paper in the first place. Don’t get me wrong, I’m not trying to disrespect the game. Self-publishing is a way to put your story before the world without jumping through hoops of fire. For free. All you need is a story, some formatting, and a cover. 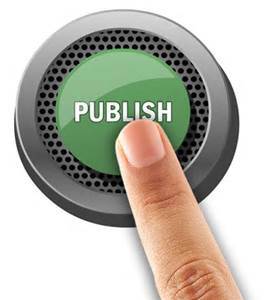 When you self-publish, you do all the work and all of your own marketing. I have some helpful links and suggestions in a DIY article on branding, social media, and marketing yourself, Author Branding and Marketing 101. Self-publishing means you keep all the money minus the fee to host it on sites like Amazon. Suggestions before you hit send and put your baby on the world wide web. Get some feedback on your story. Have someone who is not a friend or family read it and give an honest opinion. If you don’t know how to format or make a cover, hire someone. The cost of doing it right will take you out of the anyone pile and put you into the someone worth reading pile. You only get one chance to grab the reader. If you choose to go the traditional route, one of the best things you can do for your story is research publishers and agents before you start submitting. Don’t waste your time, or their time, by just sending out a query to everyone. Make sure the agent or publisher accepts your genre, make sure they are taking submissions, search their website and get the name of the person you want to see your story first. Take a look at the books they’ve already published, or sold. Understand the royalties, how and when you get paid, and how much the agent or publisher will get off the top. Do they help with marketing? For more on different types of publishers, please read this article by Elise Edmonds. She shares some great information. Checking for credentials is vital. What I mean by credentials is does the agent or publisher pop up on any “watchdog” sites. They should. They should either be there in good standing, or have there been complaints, or are they are outright scams. Writer Beware – Scroll around, they have a lot of great information about publishing. On the Alerts for Writers page, they post the latest information on disreputable agents and publishers. Their blog always has case studies on the latest scams. Before you submit to anyone, be sure to scroll around the Literary Agents page. Preditors & Editors – At the moment they are “closed” due to seeking a new caretaker. Please keep checking with them. When they’re up, they are the #1 site for information on agents and publishers. I hope someone steps up to take over. You only get one chance to make a good first impression. One chance to grab the agent or publisher. A few suggestions before you submit your baby to the critical person who may only get to pick one story out of the thousands on their desk. Follow their submission guidelines to the letter. 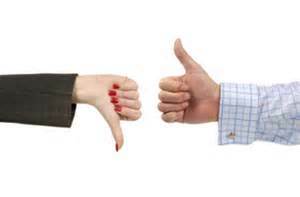 Not doing this one thing will get your story rejected faster than any other reason. After you’ve done all the edits, let someone who is not family or a friend read the story for a fresh set of eyes looking for “mistakes” such as typos, then submit. Only send the very best copy of the story. 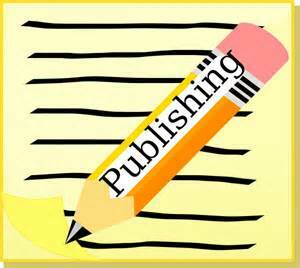 Whether you choose to self-publisher or go the traditional publishing route, do your homework. Don’t just throw your baby into the unknown. While your critiquers/editor/beta readers are doing their thing, you can start a list of agents, publishers, coders, or cover artists to research. Posted on November 28, 2016 December 15, 2018 by verysherryterryPosted in BlogTagged Beta readers, Critiques, Editors, Fiction agents, Research on Publishers, Self-publishing. Thanks! I’m so glad you found it helpful. Thanks, I’m so glad you found it helpful. For Monday Madness in December, I’m going to do an article about query letters and a synopsis.